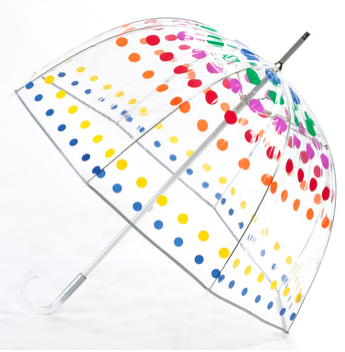 Paper Pearl: Rain, Rain, I'll Be Fashionable Today! 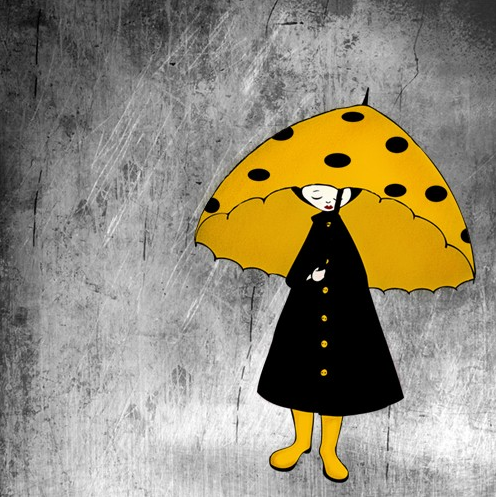 It's rainy and gloomy. Again. So despite the rain and gloom, we're going to look cute in it. Just embrace it and go with it. And with all the cute rain boots out there and colorful umbrellas, rain jackets, rain you-name it, you have every opportunity to forego the baseball cap and sweatshirt because it's another dreary day. Be the sunshine you crave to see! Smile when the sky is gray! 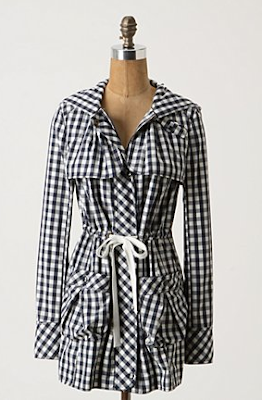 Anthropologie's Singing-In-The-Showers Slicker is adorable and reminiscent of a picnic blanket. You know, if it weren't raining of course and you were having a picnic! Vivienne Westwood would most certainly combat the wet ground in these beautiful boots. 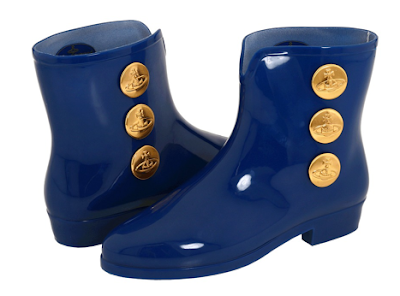 Vivienne Westwood Anglomania + Ankle Boot. 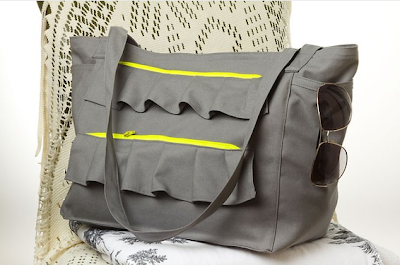 This bag is one of my favorites on Etsy and most likely will be my summer beach bag. It would be perfect for now when you have all the stuff you normally tote around and want to keep it protected agains the elements. A cute beach bag is perfect for rainy days as long as it's like this one and doesn't automatically remind you of a Caribbean island.